Clarity will be set as VVS1-VVS2. If you had to maximize size, then a VS1-VS2 would give a bit more to play with, but there is a very small premium for the higher Clarity level. Color will be set at a maximum of I. Given this price range and Clarity you'll be hard-pressed to find something I or above. With those two parameters set, we sill sort and maximize the Carat, which based on price will be somewhere between 0.75 and 0.85. 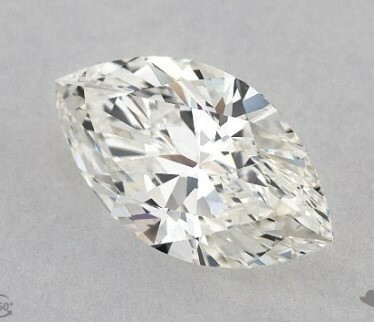 This is a stunning group of diamonds, but we'll attempt to pick the best by checking their specifications. This is a very difficult group to separate as each diamond is truly spectacular and they all fall within the same general parameters. 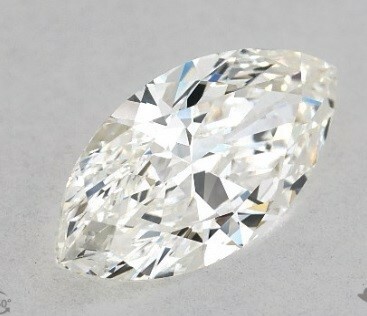 Looking at Depth % and Table %, All are within the general range for an excellent Cut diamond, with Marquise-02 probably closest to an Ideal Cut. Marquise-03 has the edge in Color, but just by the minimalist amount. Girdle provides us with an opportunity for some differentiation, as both Marquise-01 & 04 have a rating of Thick - Very Thick. To trim our selection down we will knock these out. Lastly, we will look at the L/W Ratio. Since the Marquise is such a slender design, you need to make sure that the length is appropriate to maximize the reflection. Ideally, you are looking for a range of 1.85 - 2.00. 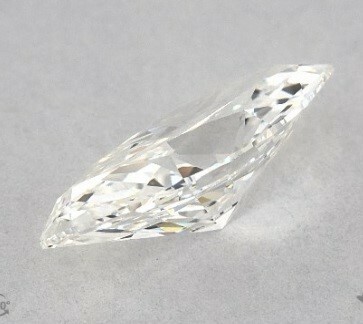 So what is the best Marquise Diamond for under $2,500? Our choice would be the 2nd entry. With a L/W ratio of 1.86 and the best Depth %, it is cut slightly better than its alternatives. While it has some Faint fluorescence and a VVS-1 Clarity, those factors (which were better in some of the other diamonds) are already so high that the IF Clarity of Marquise-03 cannot be appreciated. We've matched our choice a platinum Shank Prong setting to really set off the diamond's unique shape. Would you like us to help you with your diamond ring search? Contact us and we will provide you with a one-on-one service that will get you the best diamond available!